The metal fabrication program at Madison College teaches students how to turn raw materials into a completed product through forming, machining, welding and computer controlled navigation of a cutting head. But it isn’t all about the machines. According to Matt Bohen, a fabrication student, it’s all about imagination. “If you can think it, you can basically make it reality,” he said. The metal fabrication program started a year ago at the Fort Atkinson campus and is in its first full year at Truax, according to instructor Allen Weishoff. The program was able to expand to Truax because of grant funding after a waitlist developed at Fort Atkinson. Going forward, the program at Truax will be offered as a bolt-on to the welding program, due to budget constraints, Weishoff said. Students who complete the welding program can then get their fabrication degree after only an extra six weeks. It takes a year and a half to complete both programs. Currently, there are 14 students in the program at Truax with no former fabrication training, and three that are doing the add-on from the welding program. In the program students learn how to make things like candle holders, fire rings and wine racks. They create projects from scratch, doing the planning, calculations and building themselves. 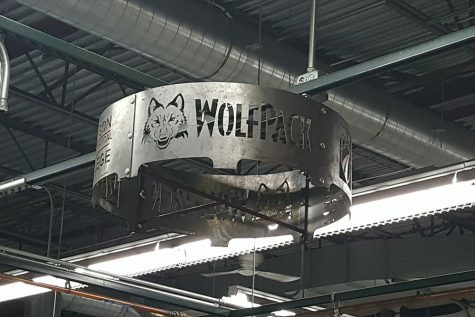 This Madison College fire pit ring hangs in the rafters in the college’s Fabrications lab and is an example of the kinds of items that can be made. 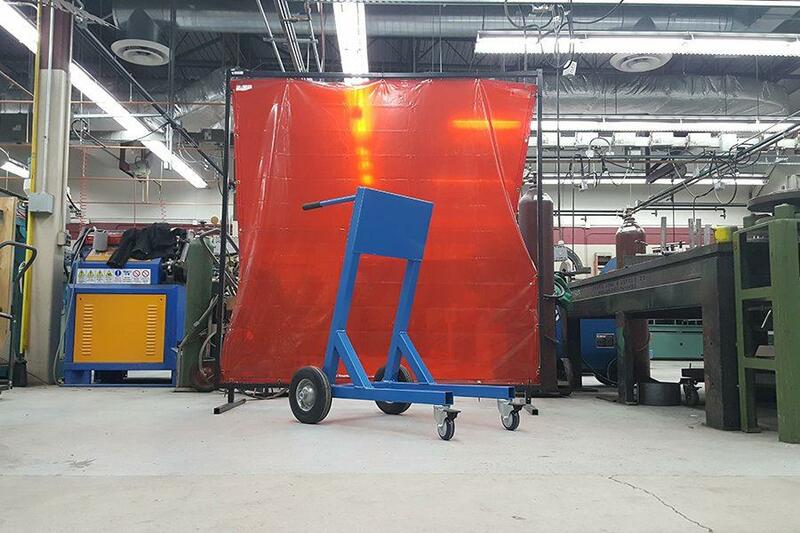 Students like Greg Paasch like the customization that the fabrication program offers. Last year Paasch completed the small engine program, but he “liked customizing stuff, and making parts that nobody else was making,” and that wasn’t a big part of the small engine program. Weishoff knew that creativity and customization was a big part of the fabrication program so he convinced Paasch to join the program and “it’s been fantastic,” Paasch said. This year Paasch made all his Christmas presents in the fabrication lab, including a wine rack and candle holder. But thereach of what students can make extends far beyond Christmas presents. Students are making parts and equipment for other programs at Madison College including the small engine, and automotive programs. Bohen and Paasch made carts to carry upward motors for the small engine program. All the small engine program had to do was buy the materials, and come up with a sketch. This is not the only time the fabrication program has helped out other programs. The automotive program came to them with parts they’d bought, asking if the fabrication students could build it themselves to help save money. For some it might be all about the money, but for students it’s about being able to show their creative side, and turn their ideas into reality.